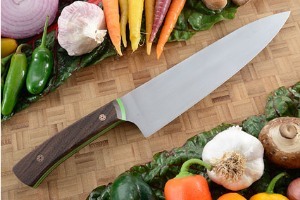 Description: This exceptional chef's knife was made by Adam Sigal (Station Knives) in Portland, OR. Adam calls this shape the Sigal Classic. 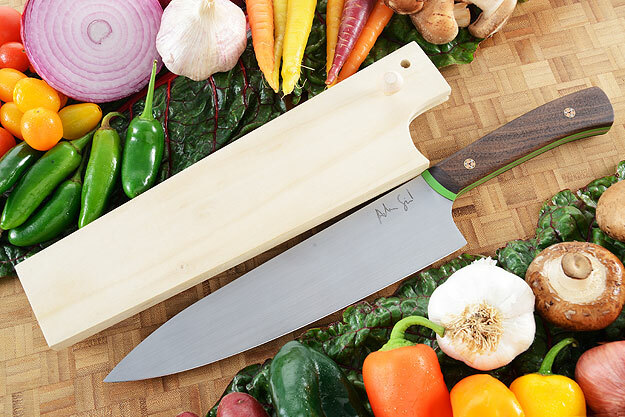 It is a perfect mix of a hard work ethic with a Japanese gyuto profile. It is a little thicker than its Japanese relatives so as to give a bit more weight and durability. 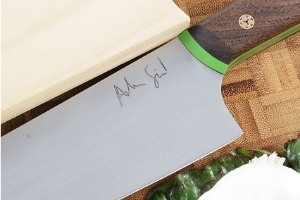 Adam learned knifemaking while at renowned knifemaking workshop Cut Brooklyn. His understanding of knife styles as well as his appreciation for good fit and finish is clear! 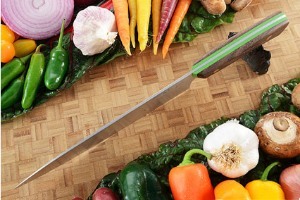 Whether a home gourmet or a professional chef, this 8-1/2 inch chef's knife is a perfect choice when chopping, slicing and dicing. 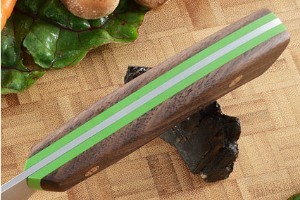 It provides plenty of finger clearance over a cutting board with just the right amount of rock.